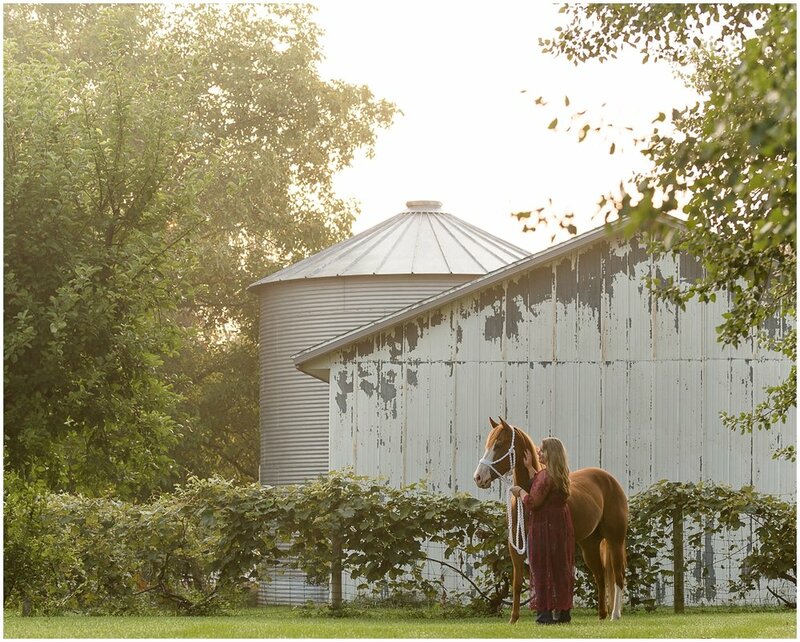 Golden flecks of hazy sun shimmered in the fog, which hung low over the lush fields surrounding the Wolcottville, Indiana, home's quiet acerage. 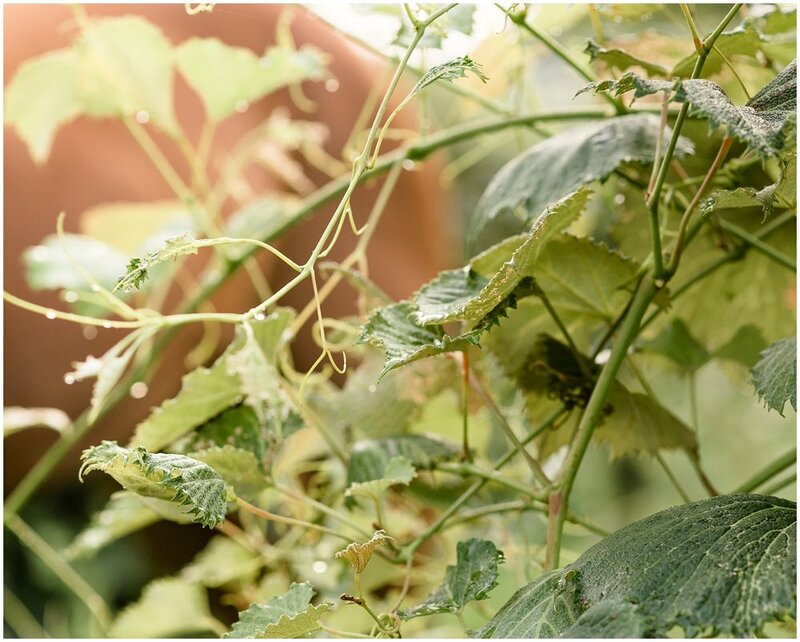 Dewdrops dripped off leaves and vines. It was a glorious morning, made all the more beautiful by Jenna's joyful smile and her striking duo. Their connection is deep, built on a history much older than either horse. Lacey, the spunky bay overo, is out of one of Jenna's first teachers—a mare who helped carry her through her early years of 4H. 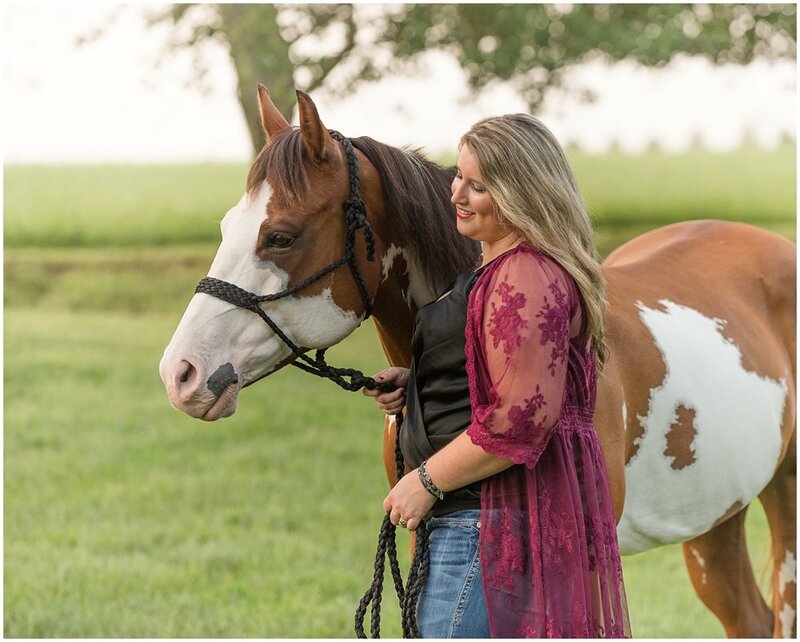 After Lacey's first 90 days of training, Jenna stepped in, pouring years of hard work into developing the flashy mare into a top competitor at local shows. I've been in Jenna's shoes, and I know both the challenges of spending years with a "work in progress" and the awesome satisfaction of finally chasing down those 4H goals! Sweet Jag, Lacey's 7-year-old colt, might have missed out on his momma's color, but he sure didn't skimp out on looks! (#hairgoals) Jenna bred him, too, with a focus on mindset...and she definitely got personality plus! 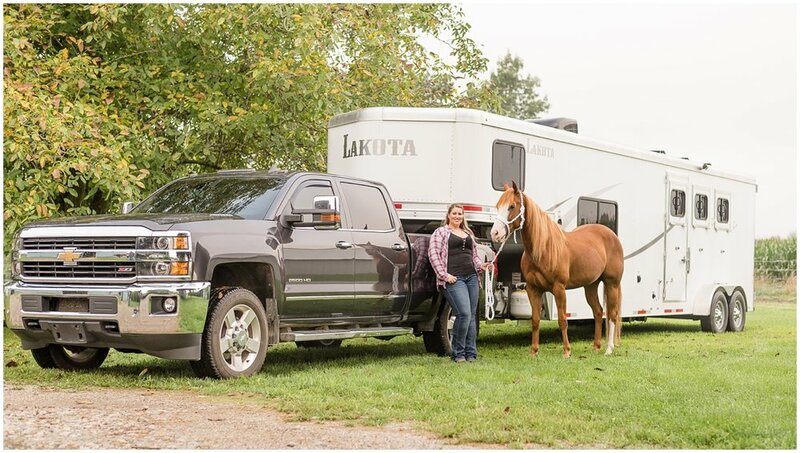 When we first started planning her session, Jenna told me about how Jag's training had to take a backseat to her college and career plans (sidetone: she works for Lakota Trailers, so of course snapping some shots with her sweet rig was a must)...but Jenna's never lost sight of her goals and the sweet gelding's potential. They're on to new adventures soon, though, and I know she'll once again enjoy the thrill of success after the long hours of training hard. 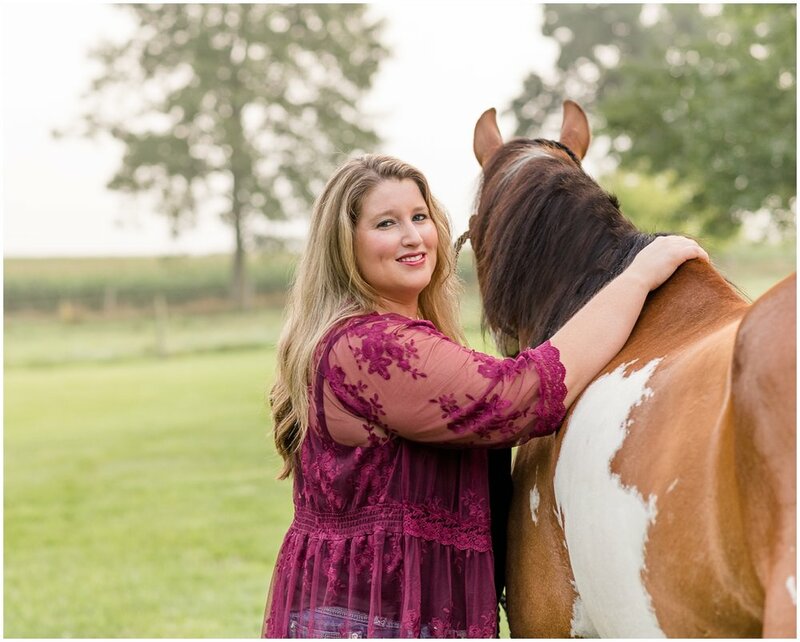 There's a lot of history tangled in the manes of Jenna's horses—a colorful past and a promising future; both are treasured pieces of a lifetime love for soft nickers and steady hoofbeats.